OdinAlso called Wodan, Woden, or Wotan, one of the principal gods in . His exact nature and role, however, are difficult to determine because of the complex picture of him given by the wealth of archaeological and literary sources. 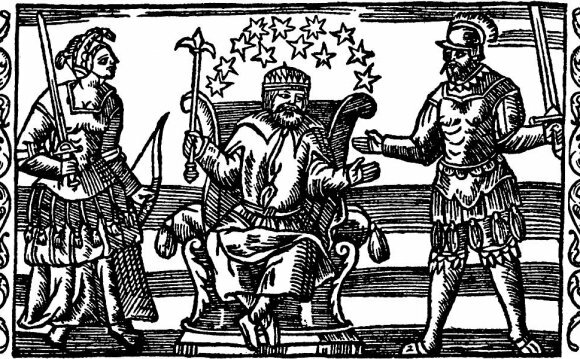 The Roman historian stated that the Teutons worshiped Mercury; and because dies Mercurii (“Mercury’s day”) was identified with (“Woden’s day”), there is little doubt that the god Woden (the earlier form of Odin) was meant. Though Woden was worshiped preeminently, there is not sufficient evidence of his cult to show whether it was practiced by all the Teutonic tribes or to enable conclusions to be drawn about the nature of the god. Later literary sources, however, indicate that at the end of the pre-Christian period Odin was the principal god in Scandinavia. From earliest times Odin was a war god, and he appeared in heroic literature as the protector of heroes; fallen warriors joined him in . The wolf and the raven were dedicated to him. His magical horse, , had eight legs, teeth inscribed with runes, and the ability to gallop through the air and over the sea. Odin was the great magician among the gods and was associated with runes. He was also the god of poets. In outward appearance he was a tall, old man, with flowing beard and only one eye (the other he gave in exchange for wisdom). He was usually depicted wearing a cloak and a wide-brimmed hat and carrying a spear.